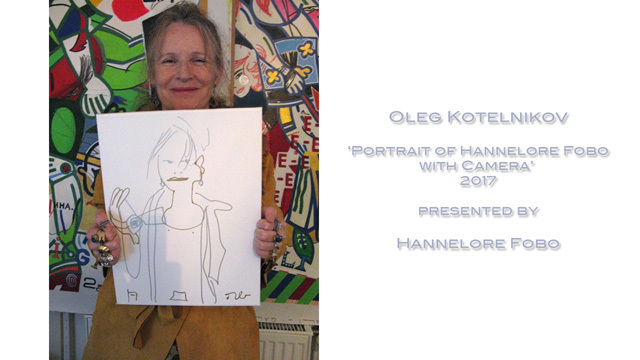 Filmed by Hannelore Fobo 31 May and 2 June, 2017, at the New Academy of Fine Arts, Saint Petersburg. 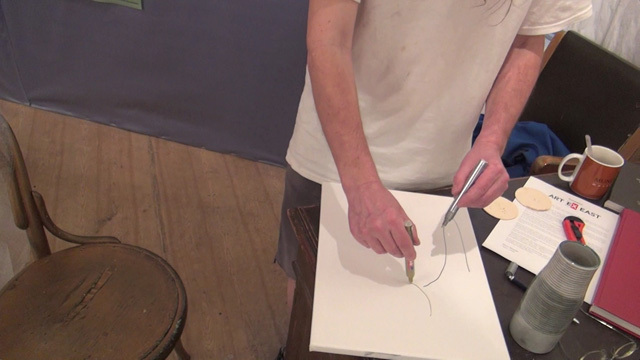 The works displayed on the walls are prints on canvas of Timur Novkov's ‘Horizons’. 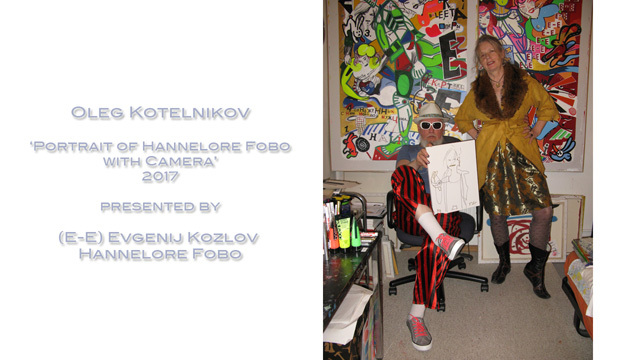 As she is being portrayed, Hannelore Fobo is holding the camera in her right hand, filming Oleg Kotelnikov. 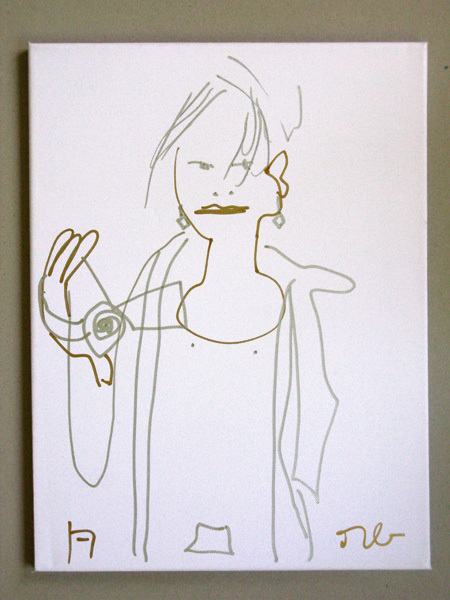 Her posture becomes part of the portrait. 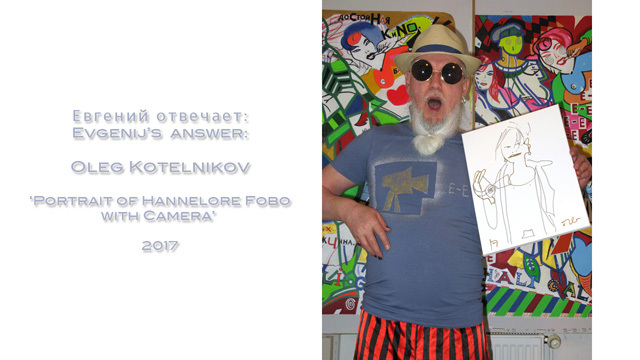 Two days later, 2 June, 2017, Oleg Kotelnikov asks Evgenij Kozlov to solve a riddle he made up: змей, уздечка, два сердечка, речка - a serpent, reins (bridle), two hearts, a river – what is this? 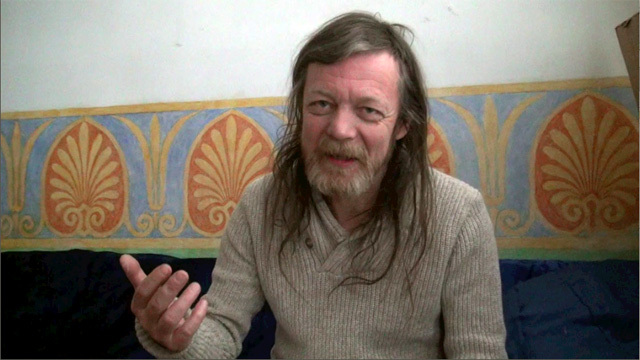 Filmed and edited by Hannelore Fobo. P.S. Oleg Kotelnikov himself offers a different solution to the riddle – the Equestrian Statue of Peter the Great pointing towards the River Neva, the horse trampling a serpent. 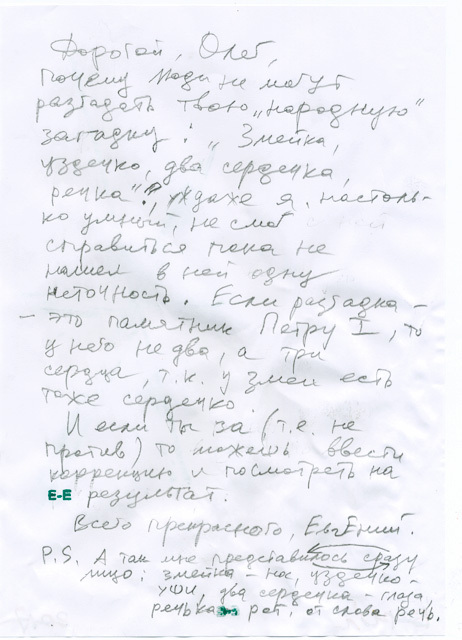 Not being fully convinced by this answer, Kozlov wrote down his objection in a letter to Kotelnikov, his main argument being that in this case there should be three hearts, not two: those of Peter, the horse, and the serpent.